Anti hunt campaigners have filmed footage of themselves retrieving a fox from a group of hounds during a hunt in Oxfordshire. 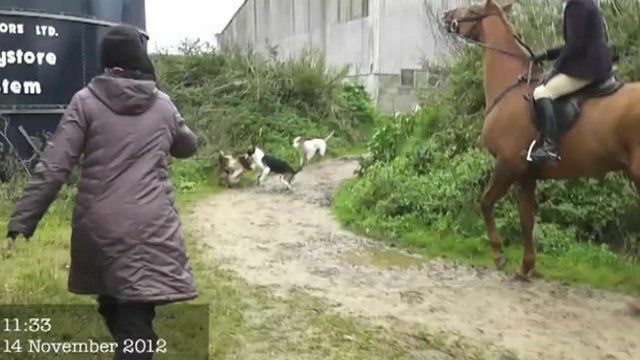 The hunt monitors, lead by Judy Gilbert, said if they had not been there the dogs would have killed the fox. In a statement, the Old Berkshire hunt said no foxes were hunted on 14 November when the footage was filmed, and rejected any suggestion that it broke the law. It added: "A fox appeared in a farmyard with five stray hounds and was jumped on by animal rights activists."